In the sea of CMMS/EAM providers and solutions, finding the right one for your business or industry can be a challenging task, full of question marks. In spite of that, enterprise asset management solution after the right decision is taken, becomes irreplaceable part of organizations strategy. An EAM can improve business’ productivity, MRO, efficiency, centralizes data and automates maintenance management. However, in order to achieve that, there should be a good strategy and a clear vision of how such solution will fit into organization’s operations. In this article, we will list 8 factors you should consider when choosing the right EAM solution and provider. Start always with an “inside-out” approach. What was the reason which made you consider an EAM solution in the first place? 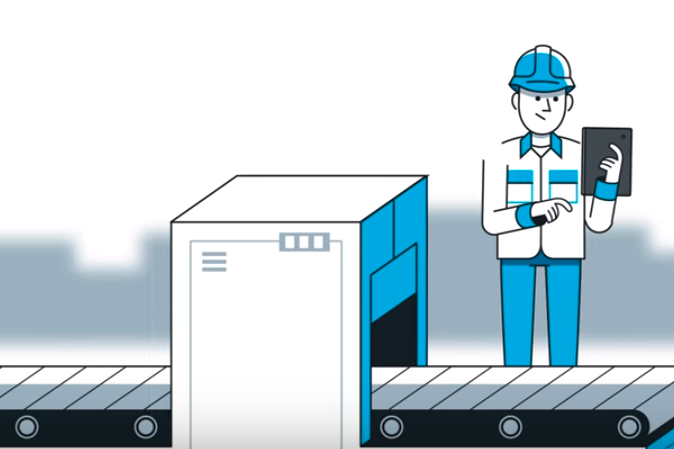 Too much downtime, high MRO costs or you were just lost in the numbers and you needed a smart solution which will make asset management just as easy as your business needs it to be. By identifying the problems which your organization faces, you will be able to better assess the available EAM solutions and map out those which do not serve your needs. Most of the strategic decisions are usually taken by the management but when a new solution needs to be implemented, the staff which will work with it in their daily work routines will be the most influenced by it. Listen to your staff first, analyse their daily struggles and challenges, because if your organization invests in a pricy enterprise management solution and the main users of it do not utilize it properly, then you have done an unsuccessful investment. A good way to spot what are first-line workers’ challenges is to simply do passive observations of their work routine or make feedback session. Of course, doing both will be the best-case scenario so you can see and hear how the potential users of the new technology perform their daily tasks. The choice of an EAM solution depends on your EAM provider. What do we mean? Well, imagine you buy a system, but in time you face technical issues, updating the system may be not so easy if you are not tech-savvy and you misunderstand software's functionalities which eventually are used in the wrong way. It can be many things, but the point is: you need a trusted long-term vendor, who can provide you, preferably, with maintenance, EAM solutions and customer care services. When you are working with a company which knows its product and you have a direct connection with specialists within the EAM solution provider, you can be guaranteed the implementation will be smooth and easy to use in the long run. We, at Dynaway, have been in the EAM market for more than 17 years now, and we have learned from our customers that it is not enough to provide EAM software alone, product support is a crucial part for our customers. 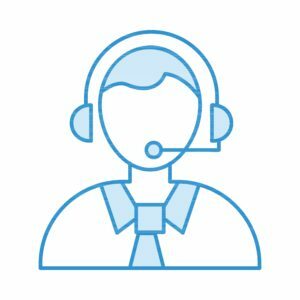 Therefore, we have introduced the Customer Care Plans where we made sure we have continuous collaborations with our customers, speak their language and provide them with high-quality services. So, when you are about to seal a deal with a potential vendor, check upon their customer care services, references from previous customers or ask your peers for a recommendation and their experience. The first line workers will be the main users of the Mobile EAM solution and if your goal is to provide efficiency and traceability of your operations, then a web-based mobile solution may be a good way to go. Since most maintenance workers do not spend their time in front of a computer and work mainly on the machinery and shop floor, a tablet or smartphone can be considered for their daily tasks and work order execution which will ease the way they register the work. Additionally, you will get a clear understanding of the way your company handles downtime or spare part inventory and get enough data to do more predictive maintenance. Although, if you have a windmill factory and your workers have to go out and do maintenance jobs in remote locations? It would respectively lead to a lost wifi connection on their Mobile device. Then what? This is an important aspect of the Mobile EAM. Some of the EAM solution providers are offering offline capability. Our powerful Mobile EAM solution has been the key differentiator to our customers. We have built our Mobile Client together with our customers, their feedback and requirements. Dynaway Mobile Client can provide offline inventory, which may be a solution for your type of business. ''We looked over a lot of different solutions, and Dynaway was the obvious frontrunner.'' – Kelly Kane, Manager of Information Systems, Algood Food. As we have already mentioned, it is important to listen to the end-users, but also to be prepared to educate them on how to use the new Mobile EAM solution in the best possible way. For this purpose, when scanning through different vendors, you should consider services such as access to educational resources, training, e-learning, video tutorials, white papers, installation guides etc., which the vendor can provide to you. The same stands for maintenance managers, who will use the core EAM solution. Each user from the management level should have a good understanding of the products their company is using. In connection to that, Dynaway has foreseen the need not only to help our customers with their inquiries but also to provide up-to-date knowledge about the products we offer. For this purpose, we have created Dynaway Academy, where partners, independent consultants, current and potential customers can experience and get certified for Dynaway EAM functionalities by taking part in different courses, organized and facilitated by Dynaway’s specialists. If you want to maximise your asset performance, maintenance and improve your operations, then you should consider a solution with the right functionality and a vendor which will understand your needs and provide you with an easy-to-use solution with an opportunity to be scaled in future. Dyanaway EAM provides a wide variety of functionalities and consist of different modules, which the customer can choose from, as well as, a mobile solution, to ease the work of the first-line-workers. If you want to learn more about Dynaway EAM possibilities, download our "Comprehensive Dynaway EAM White Paper". Budget is an inevitable part of the process of choosing the right EAM vendor and solution. The prices differ but the vendor should be able to give an estimate of upfront costs, licensing, implementation and training fees, so you can plan long and short-term costs and eventually calculate the potential ROI. If you consider going through a digital transformation and you understand the importance of it, then you should set as a reminder that one day your business will grow and eventually the expectations from your EAM solution will increase too. The solution should be able to accommodate multiple sites, extend the number of users or add more modules, aligned to your company needs. Whether you have taken a decision that you will implement an EAM solution or you are still in the consideration stage, there are strategic decisions which should be taken based on different factors, as the once we have mentioned already. Having an action plan before the big transition can be both a relief and time-saving.